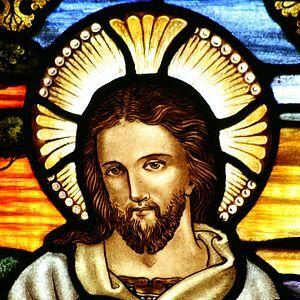 Last week on Facebook, I engaged in a prolonged discussion with a young White male student who attends University of Wisconsin-Madison on the subject of Christianity. We had a passionate discussion about the existence of God and the usefulness of the bible. I am a devout and unapologetic Christian and he is an atheist. During our discussion, the guy tried to undermine the usefulness of the bible and the existence of God by selecting random scriptures and making interpretations about those scriptures that were totally out of context. During that discussion, an epiphany that I had when I was at the University of Arkansas in 2004 resurfaced: Do not wear yourself out with trying to convince people who do not believe in God that he is real and that the bible is right. While I have had some pretty sophisticated discourses with atheists in the past at Albany State University, Emory University, University of Oklahoma, University of Texas, University of Toronto, Harvard University, and the University of Arkansas, this discussion with this young first-year student at University of Wisconsin-Madison revealed to me that I was talking to a fool. You should never consume too much of your time arguing with fools because they are more skilled than you are with doing what they do best: engage in foolishness. The purpose of this article is to offer Christians a new approach to responding to non-believers who want to challenge the bible and the existence of God. Instead of trying to defend the existence of God and what the bible says to non-believers who attempt to undermine both, change the discourse into a discourse that forces them to prove evolution or that there is not a God. As Christians, we often waste a significant amount of our time trying to make people think that God exists and that the bible is right. If people are not willing to hear you out about the existence of God and about your explanation of biblical scriptures, then devote your time and attention to someone else or something else. If people want to go to Hell, please learn to just pray for them, but you have to ultimately be willing to just let them go to Hell. Salvation is a personal choice; therefore, people have to make up in their own minds to get it. Some Christians will get all angry with people who challenge them about the existence of God and problems they have with what scriptures say. Again, I have to let you know that you should not be getting angry over people like this. Just let them go to Hell! Hell was created for a purpose. God already knew that some people were not going to make the decision to love and acknowledge him. Hell was created for those people who elect not to acknowledge, love, and serve God. When I challenged the University of Wisconsin-Madison atheist student about proving to me that evolution is real and to disprove the existence of God, he started to get all angry and called me “the typical Christian.” I would like to inform this young White man that “the typical Christian” is not like me. The typical Christian is not willing to take the kinds of risks I do, he or she is not willing to break with tradition as I am, and he or she is not willing to have discourses about the topics that I do, so I’m not “the typical Christian.” I would love to see a day when more Christians are more challenging, bigger risk takers, and willing to break with tradition more. Fortunately, I cannot be accurately called “the typical Christian.” If you do not believe me, just read the articles on my blog and you will see that I am not “the typical Christian” and do not want to be. I want Christians to put more of the burden on non-believers to justify why they believe what they believe. The burden has always been put on the believers to justify why we believe what we believe. It is time for us to change this reality. People think Christians, especially many professors in academia, are simple and unsophisticated thinkers just because we believe in what the bible says and because we believe in the existence of God. It is time for Christians to start to challenge this position. I contend that it is highly unsophisticated to believe in nothing. It does not take much intellectual thought to believe in nothing. For me, it’s simple and unsophisticated to believe in nothing. I am not saying that all atheists do not believe in nothing, but I am saying that some of them do believe in nothing. Christians need to rise up and challenge the belief in nothing that seems to consume so many non-believers. Interesting point of view. I have bore witness to many of these debates. God vs No God and such. I mean this is a bit strong. What about a person who lives a good life, adhears to the law, and tries to do good, do they deserve an endless suffering and torment because they question what they believe? And also if God created these people knowing they would go to Hell……whats the point of creating them at all? Its like a donut factory making donuts, a little time after they are made they go straight into a burning pool of acid, instead of making their way to supermakets and cafes to be enjoyed by all. I don’t have any problem with the people doing good and living a good and civil life. My core point is for Christians to stop wasting so much time on people who do not even want to listen to what they have to say. The simple thing that God asks of people to prevent them for an eternal life in Hell is to accept him as their Lord and personal Saviour, and this requires them to confess with their mouths and believe in their hearts that Jesus died for all their sins and to ask for forgiveness for all their sins. He gave people free will to make the decision to go to Heaven or Hell. The choice is simply love God or go to Hell. People have an easy choice to make to prevent themselves from going to Hell. When people turn their backs on the one who created them and never acknowledge him and surrender to Him, then they do deserve to go to Hell. Everyday, God gives people a chance to express their love for Him so that they can live forever in Heaven. I appreciate your very good response and thank you for reading. The purposes of my articles are to be provocative and to spark discourse and they have certainly been doing that, so I sincerely appreciate your response. I think Christians would have a much easier sell if the lifestyles of Christians matched the rhetoric. I’m not talking about the average Christian; it is the televangelists, right-wing zealots, and the like that make it difficult for non-Christians to swallow. I agree with you, Sean. If Christians who are very much in the public eye would live truly Christian lives, then it would be much easier for Christians to persuade more non-believers to embrace Christianity.